Last Friday I went to the Frida and Diego Exhibit at the High Museum. This is the first exhibit were their work was shown together. And it was such a wonderful exhibit! Diego Rivera was a Mexican muralist, very active in the Mexican Communist Party and the Mexican Revolution. 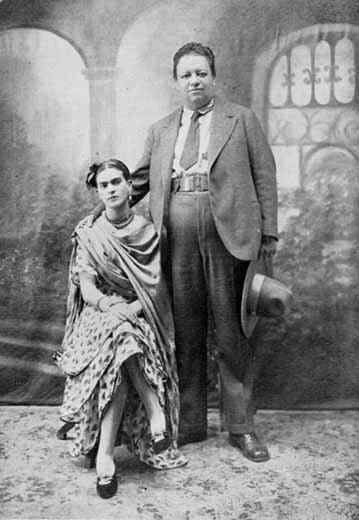 Frida, his wife, was a self-taught painter who mastered the self-portrait and portrayed her reality through her paintings. Their marriage, like their work was tumultuous and had different periods, ups and downs. But they both continued to remain devoted to one another, in their own ways. I would highly recommend a visit to the exhibit! You won’t regret it.